We pride ourselves in the latest dental technology. Have questions? We have answers. See our FAQ section. Requesting an appointment has never been so easy. Just let us know when works for you. 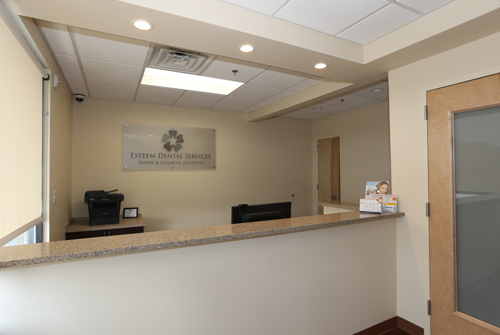 At Esteem Dental Services, we are dedicated to providing the best experience and dental care possible in a relaxing and comfortable environment. Patient comfort and satisfaction are our highest priority and we strive to provide this at every appointment. While updating constantly in latest advances and techniques in providing dental treatment, our Doctor and staff make the patient’s concern most paramount and strive to provide as much information to guide patient to the best treatment plan desired. With new and latest technology (digital radiography, computerized patient charts, record keeping) and state of the art facility (television screens in patient rooms, streaming music in office), we are making every attempt to give the best and most comfortable dental experience possible and of course, the highest standard of preventive oral health care and dental treatment available.